Don’t let septic issues add to the stress of your life! 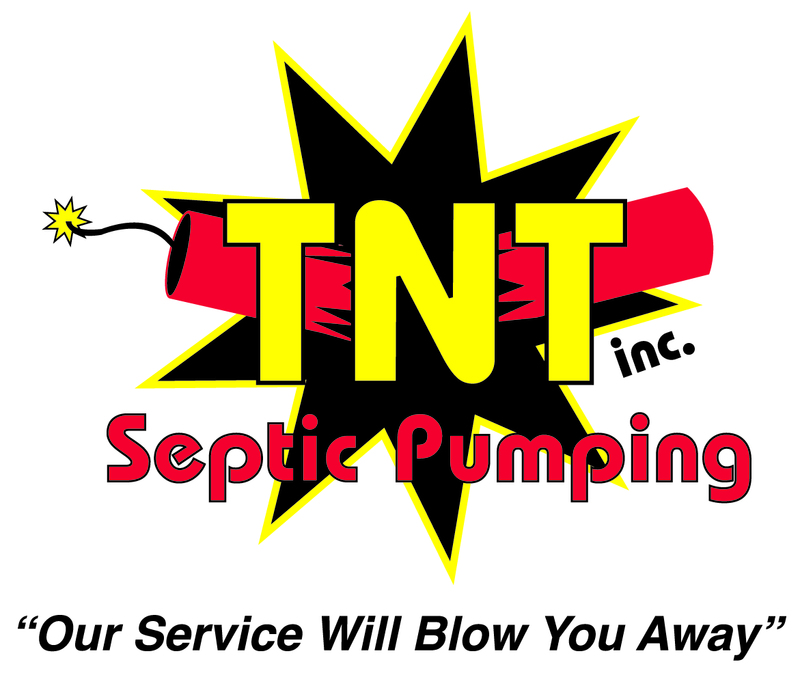 Call TNT Septic Pumping, an aerobic septic system pumping specialist that guarantees customer satisfaction with work done right the first time, every time. For both commercial and residential systems, we offer septic pumping, tank cleaning, septic jetting and grease trap cleaning at a reasonable and fair price. Our award-winning customer service has been recognized by both Angie’s List and Talk of the Town. We know that septic system owners have a choice when hiring a pumping service, and we want to assure you that when you call TNT Septic Pumping, you’ve made a great decision. You’re not just getting someone who can drive a truck, but a technician with specialized septic experience. 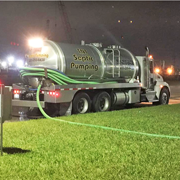 The owners of TNT Septic Pumping, Inc. have a complete understanding of both Aerobic Septic Systems and Conventional Septic Systems in Houston, Montgomery, Magnolia, Tomball, Cypress, Waller, Chambers County, Ft. Bend County and throughout Southeast Texas. TNT is known for integrity and quality throughout the area. We have earned the Better Business Bureau of Houston designation as a business that can be trusted with honesty in the marketplace. Angie’s List has again honored TNT Septic Pumping with it’s coveted Angie’s List Super Service Award, reflecting an exemplary year of service provided to members of the Southeast Texas marketplace and consumer review site in 2018. TNT has also been awarded for Excellence in Customer Service by another national consumer rating company. The award is based upon extensive research into customer reviews on various consumer rating sites and services. TNT Septic Pumping offers quality septic service at a fair price. We offer pumping, jetting, tank cleaning and more. 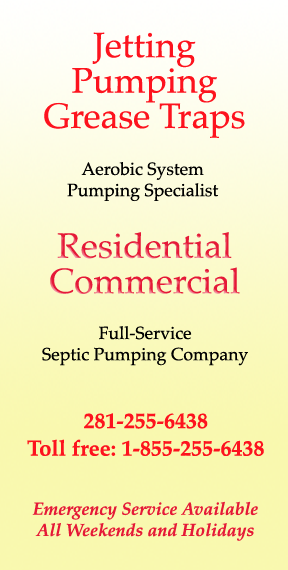 Want to know how to keep your aerobic or conventional septic system running smoothly? 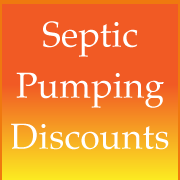 Check out our septic tips page. TNT offers septic pumping discount coupons to senior citizens and military. We have enzyme discounts too. There are no hidden fees with TNT. Only state licensed and approved disposal sites are used for septic disposal. TNT Septic Pumping has new, state-of-the-art pumping trucks and equipment. We offer emergency pumping service, including weekends and holidays. TNT Septic Pumping is licensed by the Texas Commission of Environmental Quality. 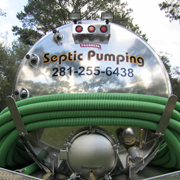 Our septic pumping trucks serve residential and commercial customers in Magnolia, Montgomery, Spring, Cypress, Tomball, Houston area, Conroe, Willis, Waller, Hockley, Katy, Ft. Bend, Sugar Land, Missouri City, Richmond, Rosenberg, Rosharon, Splendora, Needville, Fulshear, Simonton, Baytown, Highlands, Crosby, Mont Belvieu, Hempstead, Navasota, Bryan, College Station, Brenham, Chappell Hill, Sealy, and Brookshire.